China Construction Machinery Association (CCMA) is a registered national construction machinery industry organization officially approved by the Ministry of Civil Affairs of the people’s Republic of China, which is voluntarily established by and consisting of the manufacturers, institutes, universities, service providers and other construction equipment related entities in the construction machinery industry. China International Contractors Association (CICA) is a national organization, composed by firms that related to foreign contracted projects, labor cooperation, investment and related engineering services. China Central Television or Chinese Central Television, commonly abbreviated as CCTV, is the predominant state television broadcaster in mainland China. China Road and Bridge Corporation (CRBC), one of the four large state-owned companies in China which earliest entered the international project contracting market, mainly focuses on the contracting of such projects as roads, bridges, ports, railways, airports, tunnels, water conservancy projects, municipal works and dredging works both at home and abroad. Xiamen Road & Bridge Construction Co., Ltd.
Xiamen Road & Bridge Construction Group Co., Ltd. was established in 2006 by the Xiamen Road & Bridge Construction Investment Corporation restructuring, the Group is one of the ten state-owned enterprises directly managed by the Xiamen Municipal Government. 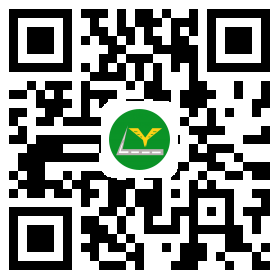 Hebei Road & Bridge Group Co.,Ltd. Hebei Road & Bridge Group Co.,Ltd　(HRBC), was founded in 1950,which precursor was the Highway Engineering Bureau under the Department of Communications of Hebei Province. HRBC is a large-scale highway engineering enterprise which takes constructing highway engineering and oversize bridge works as its main business and concurrently undertakes house-building engineering. Heilongjiang Province Construction Group is a large-scale state-owned backbone construction enterprise with Authorized Operation on State-owned Assets. It owns the highest qualification certified by the state for general contract of buildingconstruction in China, Grade One qualification certified by the state for equipment installation, municipal & public and highway works and Class A state engineering design qualification. China State Construction Engineering Corporation Ltd. formally established on December 10, 2007, was co-initiated by four Fortune Global 500 enterprises: China State Construction Engineering Corp. (CSCEC), China National Petroleum Corporation (CNPC), Baosteel Group Corporation Ltd and Sinochem Corporation. Shanxi Construction Engineering (Group) Corporation (SXCEC), listed in “Top 500 Enterprises of China” and “Top 60 Chinese Contractors”, is an entity with a Special Grade Certification of General Contract for Building and Housing Construction. Anhui First Construction Engineering Co., Ltd.
Anhui first construction company founded in 1966, is a housing construction general contracting, municipal public works construction contracting enterprise. Guizhou Construction Engineering Group Co., Ltd., formerly known as the provincial construction company, founded in 1952, after several affiliation changes, it's belong to the Guizhou Province Construction Authority now. Tipco Asphalt Public Company Limited. Tipco Asphalt Public Company Limited manufactures and distributes asphalt products servicing road construction, maintenance and paving industries, essential for transportation within the country. Sharpe Bros. (Aust) Pty Ltd.
Sharpe Bros. - A leading Australian roads and road transport infrastructure company. Asphalt Specialists – asphalt paving and civil contractors. Sharpe Bros is a trusted and leading Australian road infrastructure maintenance group with integrated services for customers. Heat Design Equipment (HDE) Infrared Asphalt Heaters, with their unique patented design, ensure continuous and uniform re-heating of asphalt in place. Berkshire Engineering Supplies ltd are distributors for a number of the worlds leading manufactures of: asphalt production & recycling equipment, concrete batching equipment, aggregate processing equipment, volumetric mixing equipment, construction hoists, silo protection and filtering equipment and road pavement additives. For more than ten years, Dalsnab supplies to the Russia market a wide range of equipment for repair and maintenance of roads. Tshete Holdings (Pty) Ltd was founded by qualified Quantity Surveyor and an incredible entrepreneur Mr Rendani Tshete Makhomu in 2009 as a dynamic black owned engineering and investment holding company with its headquarters locatedin Polokwane Limpopo province - South Africa.